The Texas A&M football program is losing an assistant coach. 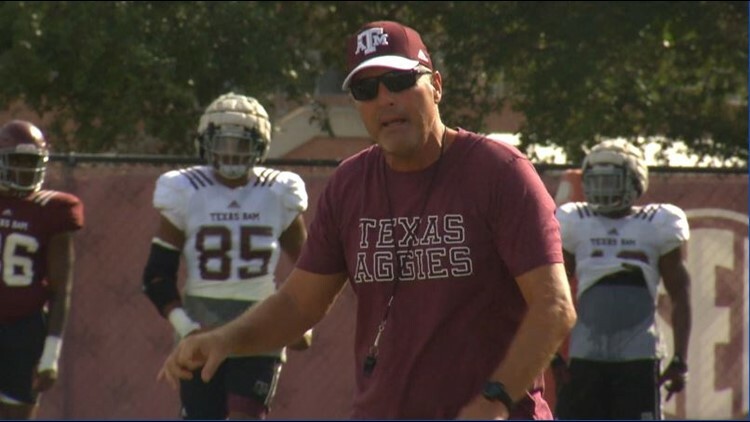 Tight ends coach Tim Brewster is leaving Aggieland to join newly named North Carolina head coach Mack Brown in Chapel Hill. When Jimbo Fisher was hired as A&M's coach last year, he brought Brewster with him from Florida State. Before spending time with Fisher though on the Seminoles staff, Brewster had strong ties to Brown. The two previously worked together at North Carolina from 1988 to 1997. Brewster then followed Brown to Texas for four years before leaving for a job in the NFL.